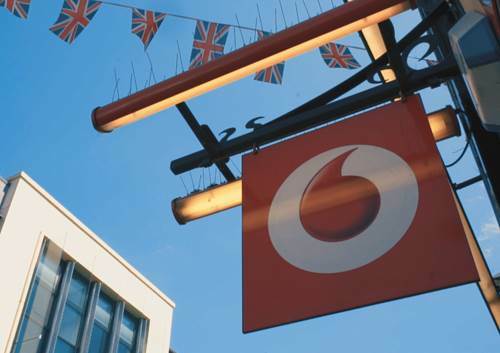 Established for more than 30 years and with almost 420 stores nationwide, Vodafone are one of the UK’s biggest and most recognised brand. Vodafone are looking for entrepreneurs who want to own a small number of stores in the UK on their Partner Agent Programme. Investing in one of their stores means you become an ambassador of a big-name brand with all its support, while still keeping the freedom of being your own boss. They are one of the world's leading mobile communications providers, operating in 26 countries and in partnership with networks in over 55 more. Across the world, they have almost 444 million customers and around 19.5 million in the UK. With the internet, digital technology and mobile innovation driving unimaginable change, Vodafone strives to be an admired leader. They are constantly developing new technologies, products and services which will enable Vodafone franchisees to not only work more efficiently and flexibly but remain competitive on the high street! Vodafone strives to be a leader in the industry; the first call in 1985, the first international roaming call in 1991, the first 3G voice call in 2001, the first UK operator to abolish roaming charges across 50 European destinations and most recently, Vodafone made the UK’s first ever holographic phone call using 5G, so you can count on them to give you the competitive edge your business needs. No upfront fee - All they ask is that you demonstrate access to funds that cover the cost of running your business which is typically between £60k-£100k. Vodafone’s franchise systems are set up all over the world. 80% of their global retail estate has seen investment, and in just 14 months they have opened a total of 66 franchises in the UK (as of Nov’18). Vodafone are using the skills they’ve learnt over the last 20 years to give people like you the best chance to shine! Whether you’re looking to take that next step in your career, or you’re a budding entrepreneur ready for your next challenge. Vodafone is a community where you’ll feel like you have a career which can make a difference. Vodafone pride themselves on being the UK’s most valuable brand, connecting people, businesses and communities in this forever changing digital world. With the internet, digital technology and mobile innovation driving unimaginable change, there’s no better time to join a powerful digital telco business.